We are an acclaimed name engaged in offering our precious clients a superior quality range of Wireless Home Security System. Our offered device is an advanced form of security system that is used in shops, offices, factories and industries. This device provide protection from theft, intrudes and burglars for 24 x 7 hours. It is equipped with a powerful siren that makes loud sound after sensing any activity. This device is an innovative auto dialing product in security era. We “Krishna Enterprise” are renowned organization betrothed in Manufacturing, Trading and Supplying highly reliable array of Security Equipment and Security Device. Under the enthusiastic guidance of our Proprietor “Mr. Rajendra Dabhi,” we have achieved a strong position in this domain. 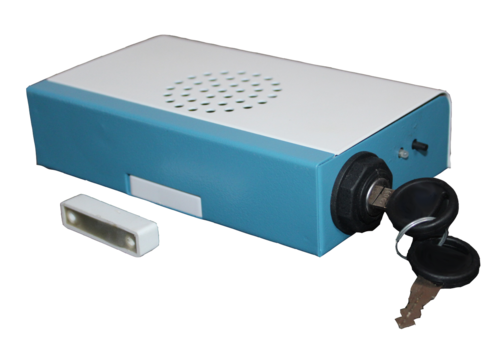 Our offered security products can be used in Banks, Financial Institutions and Petrol Pumps to protect theft, burglary, bag snatching, etc. Incorporated in the year 2009 at Rajkot (Gujarat, India), we are backed by advanced infrastructural base that comprises functional divisions such as procuring, production, quality testing, R & D, sales & marketing and transport & logistics. All these divisions are outfitted with requisite amenities and runs under the direction of adroit professionals. Additionally, our easy payment option, prompt delivery, realistic price structure and fair policies have placed our company at the pinnacle of success. We are offering all our products under the brand name KRISENT and Suraksha (K10).